The Smiths were my era, and while they weren’t one of my favourite bands, they were one of the few pop bands whose music I had time for. So when I heard there was a film about their singer, Steven Morrissey (a biopic, in the jargon of the film industry), I was interested to see it. 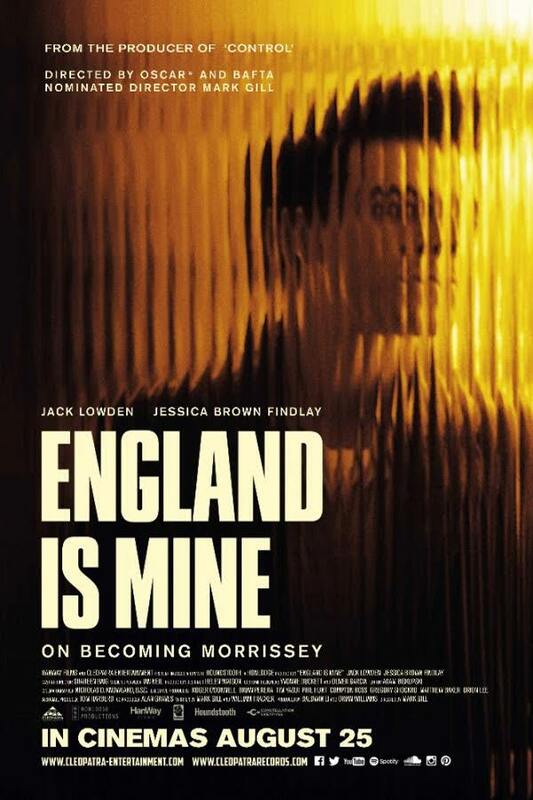 The film title – England is Mine – is taken from the Smiths song, ‘Still Ill’ (England is Mine, and it owes me a living). 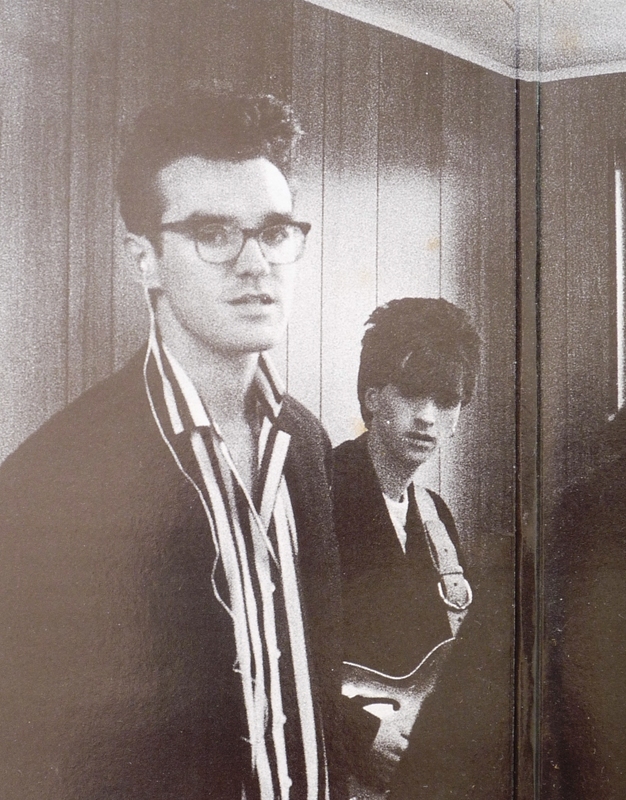 Some of you may not be familiar with the eighties phenomena that was The Smiths. Maybe you’re too young? Steven Morrissey (or Morrissey, as he has apparently always wanted to be referred to, never having been too keen on his first name) had a distinctive voice, and a distinctive style; much loved, and sometimes ridiculed. He went on to have a long and successful solo career, and as far as I’m aware, is still performing. He’s never been your average pop star; always been a rather awkward member of the music business (in more ways than one). For all his fame as a singer, he’s always been more lyricist than vocalist, more writer than performer; a literary legend. In his own mind, at least. An interesting character. Clever (usually too clever), arrogant, and a rather intellectual progenitor to an esteemed line of cocky Manc frontmen, from Shaun Ryder to the Gallagher brothers. Anyone hoping to visit their local cinema and sing-along with their favourite Smiths hits is going to be disappointed – it isn’t that kind of film. In fact it covers the years in Morrissey’s life before he and Johnny Marr formed the Smiths, and their music doesn’t feature in the film. Morrissey’s writing though, does; mostly consisting of very sharp observations on the paucity of the Manchester music scene, the dullness of others and of life in general. Our Mozzer has always been sharp enough to cut himself, bless him. Watching England is Mine was almost like time travelling back to my own formative years, because the Britain of the late 70’s and early 80’s is very effectively recreated. The film is beautifully shot, even if it is a faded, post-industrial beauty. It begins with the camera lingering over the grey swirling waters of what I presume must be the river Irwell, creating an ever moving, mesmerising abstract picture. This is returned to later in the film. The young Morrissey, played by Jack Lowden, sports a blue duffel coat, an Alan Davies curly mop and a slightly fatuous grin, so I couldn’t help thinking I was watching an episode of Jonathan Creek. It isn’t until the end of the film that he adopts the trademark quiff and the looking-down-your-nose-at-the-world air of disdain that we knew and loved. He may not look very much like the man he was playing, but at this point, the actor really begins to inhabit his subject, capturing voice and mannerisms perfectly. The film is ,apparently, an unofficial biography, and I’m not sure how accurate a picture it gives. When writing, Morrissey is shown as being confident, assured; arrogant. In life, he’s played as tongue-tied and painfully shy; unable or unwilling to engage with others, and expecting the world to come to him. I find it difficult to believe Morrissey was that insular. We see him on his own, writing – mostly in his bedroom at home. It’s suggested he’s had letters published in the music press, but nothing more, whereas I understand he had a few books published on a small scale, as well as a regular column in one of the music papers, for a time, at least. I also understand he fronted two bands before the Smiths, and did quite a few concerts. The film only shows the one musical collaboration, with a band called The Nosebleeds, and only has them playing the one gig. The Manchester music scene at the time was a small world, where everyone knew everyone else, and I’ve read elsewhere that Morrissey had a network of friends and contacts. If he had done as little to find collaborators as the film suggests, then the overwhelming despair it shows him suffering, when his first significant opportunity fails to materialise, is difficult to understand. England is Mine is pervaded with an air of despair, hopelessness; futility – ironic considering the incredible success that Morrissey would shortly afterwards enjoy. Morrissey is shown as being intensely affected by, and despairing of, the lack of success, and yet at the same time so unwilling (or perhaps unable), to put himself in the way of those who might help him gain recognition. I never realised we had so much in common. This entry was posted in reviews, Writing and tagged film reviews, Morrissey, Music, writing. Bookmark the permalink.